Relax in vigilante style with this comfy baseball cap from Watchmen! 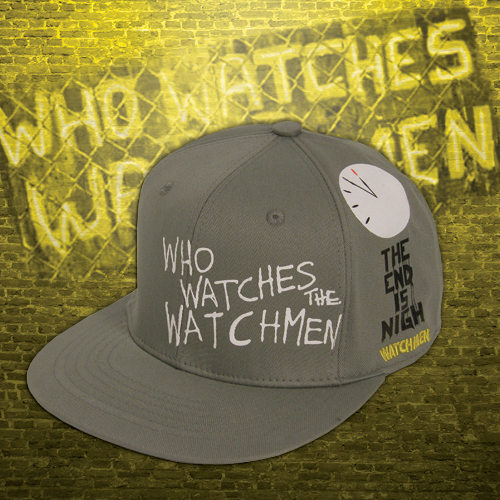 Made of breathable cotton, the front reads “Who Watches the Watchmen” in graffiti-style screen-print. Side features the Doomsday Clock, the phrase “The End is Nigh” and an embroidered Watchmen logo. Gray cap with adjustable snap back is machine washable.